Alaskan Cruise | Bethany Travel Dream Vacations, Inc. Choose Your DestinationAlaska, Mexico, Disney, Europe, The Caribbean and More! Vacation PackagesWe are proud to offer the same price as the internet with no booking fees. Destination Weddings Let us take the hassle out of your big day! 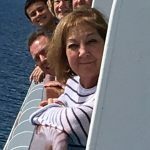 Hi Jen, These pictures sum up how great our Alaskan cruise on the Island Princess was! Having our cabins together made it a fun way to communicate, too. Our excursions were outstanding with 3 that stood out. The Saxman village, the Skagway trolley & the Sun kennels were the best. The food was great & eating together every night was a great way to share what we had done all day. The rain stopped by Skagway & we were privileged to view Mt. Denali for an entire morning from the porch of the McKinley lodge. Awesome! Thank you for arranging everything for the Borrin family! Bethany Travel Dream Vacations, Inc.
*Evenings & Weekends by appointment. © 2019, Bethany Travel Dream Vacations, Inc. All Rights Reserved.